You are able to use the Applications Launch Control component in Default Allow mode. 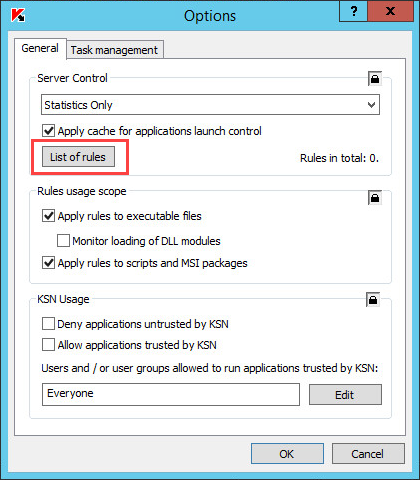 This means that, by default, all applications are allowed to launch if they are not forbidden by rules or a KSN verdict. 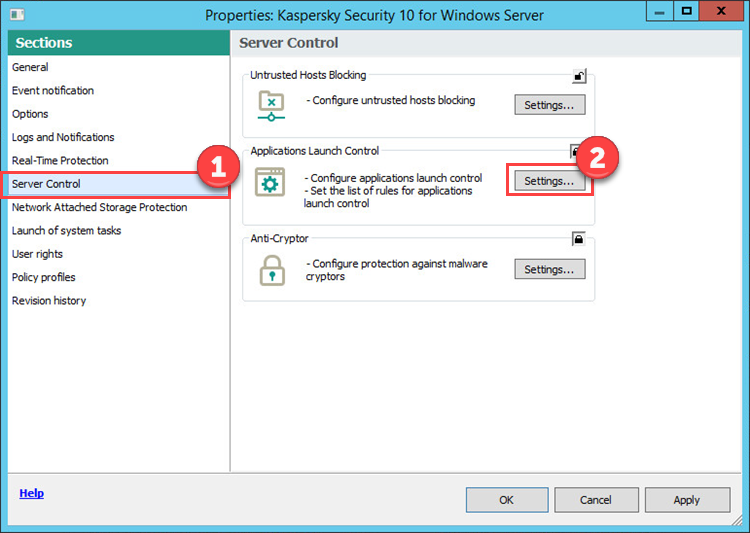 Open the Kaspersky Security 10.x for Windows Server policy. Go to the Server Control section and open the Settings for the Applications Launch Control component. User or user group: Everyone. Add an allowing rule for MSI packages. Scope: Scripts and MSI packages. 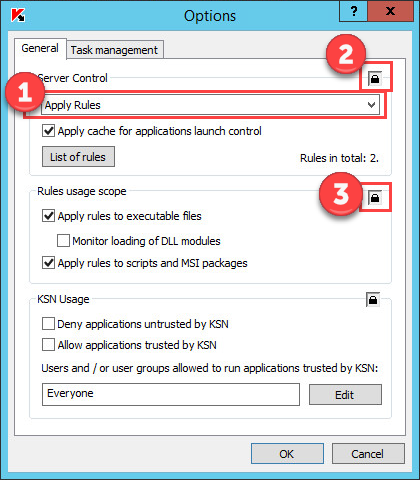 Set the Applications Launch Control component’s Server Control settings to Apply Rules. 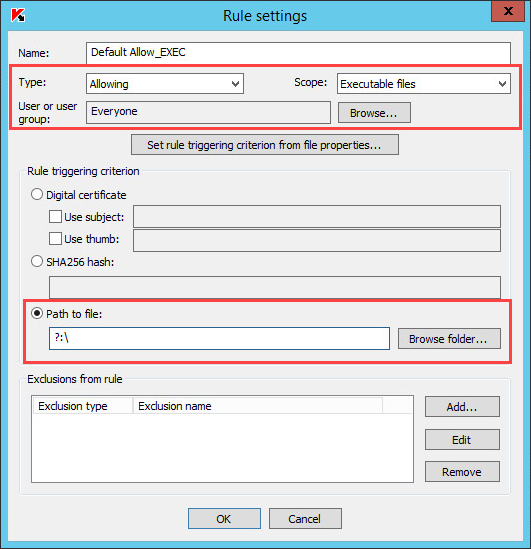 Close the locks for the server control and rules usage scope settings. Close the lock for the Applications Launch Control component. Apply the newly configured policy.